Overcast skies somewhat muted the visuals at Wednesday’s press conference. But when set against the sun of a gorgeous essentially-spring day, the green of the new growth on the Toomer’s Oaks really pops. You can watch Wednesday’s press conference at Toomer’s Corner in its entirety here. 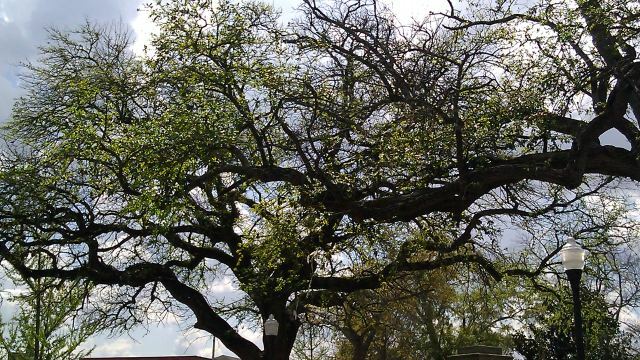 Related: Here’s what the type of tree that might replace Toomer’s Corner looks like.